“Anybody can become angry – that is easy, but to be angry with the right person and to the right time and for the right purpose, and in the right way – that is not so easy” – Aristotle, 384 B.C. During my 25 years of working with couples in distressed marriages, I would say that anger is perhaps one of the top three most common issues couples face in their marriages. According to research, as many as one fifth of the population has issues with controlling their anger. I believe it is the failure to deal with anger issues that is one of the most prevalent contributors to the demise of marital relationships today. And yet anger is a natural, God-given emotion. We use it to be alerted to potential problems and dangers. Anger itself is not the problem per se. The problem is failing to manage anger effectively. Countless spouses have sat in my office and told me how their anger or their spouse’s anger was literally destroying their marriages. How about anger in your marriage? What would you say is the current temperature in your relationship overall. Answer the following questions and consider whether or not your anger temperature is at risk of contributing to the demise of your marital relationship? 1. Do you often loose your cool and act out your anger toward you spouse by threatening divorce or by threatening to leave or by walking out on him or her when he/she does something or fails to do something that frustrates or upsets you? 2. Do you sometimes speak loudly, raise your voice, or scream belittling or cursing at your spouse when he or she disagrees with you? 3. Do you sometimes get angry with your spouse and express your anger with criticism, blame or put-downs? 4. Do you have times when when your anger spews out and hurts your spouse’s feelings ? 5. If someone you don’t know offends you, like a salesman do you lash out and give them a piece of your mind? 6. When you are upset or frustrated do you say or do things that you later regret? Give yourself 8 points for each “Frequently” you checked. Give yourself 6 points for each “Occasionally” you checked. Give yourself a 2 for each “Seldom” you checked. Give yourself a 0 for each “Never” you checked. If you rated If you were honest with yourself about the questions above and you scored a recognize that you have an anger management issue, you are a step ahead of many. If so, then read on. If you scored a 40-48, Keep working at it, but keep on enjoying the level of peace you’re experiencing in your home. If you scored 49-57 you, You may be having some ups and downs, but with a little bit of help you’ll soon be experiencing on a day-to-day basis the joys peace and harmony in your home. If you scored 42 or less… Your marriage is very likely on the brink! Its time to seriously get down to work and get things turned around. It is possible for you to learn new skills that can reduce the conflict and help you experience a harmonious realationship. It’s hard to to keep your anger in check when you just want to blurt out your feelings to your spouse as soon as they cross you. But that angry outburst is not only bad for the relationship, it’s also bad for your health. Understanding the crux of what our body goes through when we have these explosive outbursts and how these moments can have negative health effects on us. Learning how “not to speak” in order to get our point across to one another can help us avoid a host of problems. .
contribute to drinking, gambling and other compulsive behaviors. Inappropriate expressions of anger in marriage can be a major source of marital distress and unhappiness. Recognizing and managing this unruly emotion can greatly enhance the degree of security and happiness that you and your spouse achieve in your marriage. If you are willing to take an honest look at yourself, come to grips with the reality that anger is an issue in your marriage and you are willing to work at it, you can overcome this maritally destructive emotion and discover the joy of peace and harmony in your marriage and family. What man or woman gets married thinking to themselves, “One of these days I’m going to become so upset and angry toward my spouse that I’m going to burst out into frequent fits of anger that will emotionally damage my spouse in a very deep way?” That’s not the way that anger commonly destroys a marriage. It’s usually something that gradually creeps up unawares until it eventually takes its final toll. There’s not one of us who doesn’t occasionally get upset and angry with our spouse. You can’t live together under the same roof for too long without finding things you disagree about —things that really make you upset and angry with each other. It’s not whether we get angry, but what we do with it that matters. It’s how we handle the angry emotions we feel toward our spouse when it occurs. Are we going to allow our anger to spew out and hurt our spouse emotionally. Or are we going to find ways to express ourselves appropriately – ways to express our anger in appropriate ways that enables our spouse to feel safe amidst the upsets that inevitably happen in every marriage from time to time? In order to do so, it helps if we understand that anger in and of itself is not wrong. Anger is a God-given emotion, a natural emotion common to each of us, a human emotion that happens naturally, in response to one’s perception of a threat to our security and well-being. Emotions are simply a part of the way God wired us. And yet they are subject to our management and control. Everyone experiences anger, some more intensely and frequently than others. It’s not whether we are going to get angry, but what we do with it that matters. Though anger is an emotion common to all of us, few people are naturally skilled at being able to control this unruly emotion in healthy ways so that it does not become an emotional threat to our spouse and children. Most of us rely on a few specific ways of dealing with our anger that we learned as children and took with us into adulthood. These “inherited” ways of dealing with anger in marriage often have a destructive impact upon ourselves and upon those closest to us. Recognizing what makes us angry can help us find better ways to cope with this emotion. Researchers tell us that anger in marital relationship is more prevalent than in any other relationships and that inability to express one’s anger appropriately is the principal cause of harmful interactions within marriage. 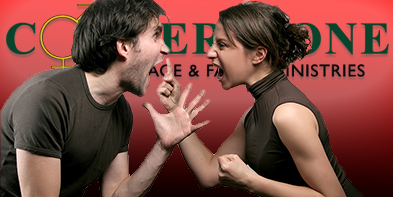 The success or failure of a marriage may depend on the way spouses manage and express their angry feelings. The negative impact of anger in marriages is considerable. A brief look at just a few of recent studies demonstrates how harmful excessive anger is to marriages. l. For example, research demonstrated that a 10-fold increase in risk for symptoms of depression is associated with anger and marital discord. Excessive anger in marriage is also associated with increased blood pressure, impaired immune function, and a poorer prognosis for spouses with coronary artery disease and congestive heart failure. Psalm 37:8 tells us to cease from anger; it can cause bodily harm. 2. Another study revealed that angry outbursts is a contributing factor to depression and related physical and emotional illnesses in the other spouse. “The more hostile and angry behavior exhibited, the more depressed the spouses were after three years.” (Proulx C. et al., 2009.). Couples need to learn how to express and acknowledge anger while managing and containing it to avoid hurting their partners, says Nancy Hudson of the Ohio State University. She suggests to begin by being open and honest and using “I feel” statements to help you communicate your anger to your spouse appropriately. There are practical, workable things you can do to avoid letting your anger get out of hand. It starts with making a commitment to do whatever it takes to put an end to angry outbursts and belittling your partner. The best way to resolve inappropriate expressions of anger in marriage is to first get to the root of the anger problem. Have you ever been hurt or emotionally wounded at some earlier stage of life? Have you ever been the victim of verbal, mental, emotional, sexual or physical abuse? Or perhaps not allowed to express your feelings, ideas or opinions. Often the root cause of anger problems is a cover-up for hurt and pain. It serves us as a protection against being vulnerable and hurt again. In reviewing the following list of root causes of anger, do you see any that might apply to you? Neglect or Abandonment as a child. Depression or Bipolor Disorder . Don’t be afraid to explore and consider what might be behind your anger and discover what the root of it may be. It may be some old baggage and understand past hurts and disappointments. You can do this in a variety of ways such as through journaling about situations and just what it was that made you angry, and why? Journaling can help you to get in touch with other feelings which may be underlying your anger, such as frustration, hurt, sadness, fear or pain from your past. Many people become angry because they feel violated or abused. Participation in private Counseling, or becoming involved in a support group or an anger management or therapy group can be very beneficial. Ignoring the root cause of your anger will prevent you from resolving your anger issue. It’s like putting a Band-aid on a cancerous wound that never heals. If you have been unable to resolve your anger management issue sheer determination, by reading self-help books or attending an anger management seminar, I encourage you to get Christian counseling help in dealing with the underlying factors which may be at the root of your anger management issues. The Apostle James instructs us to “be quick to hear, slow to speak and slow to anger,” (James 1:19-27). You have a choice when it comes to how you will behave when you are angered. You can learn to express anger appropriately instead of lashing out or acting it out. Scripture doesn’t tell us to never feel angry, but rather to “be angry and sin not”(Ephesians 4:26). Anger in and of itself is not wrong. What is wrong is when we have wrong thoughts, reactions or behaviors in response to our anger. Expressing anger, especially in a marriage should be short lived, dealt with in a Christ-like, Biblical manner and forgotten, preferably before the end of the day. Expressing anger inappropriately in marriage, especially in a Christian marriage should be avoided because prolonged anger hurts deeply and destroys marital harmony, perhaps as much as an act of infidelity. Spouses who are serious about dealing with the anger in their marriage should refrain from “letting the sun go down on their anger.” By resolving conflicts and dealing with anger as it occurs daily, couples can by experience the joy of viewing each day as a new beginning, with no residue of negativity from the previous twenty-four hours. Slow down and think before you respond, Proverbs 29:11; 15:1-2; 16:29. A quick, angry reaction is often regretted. Delay your response. Allow yourself to think and calm down. Get to the source of your anger, (Psalm 4:3-5; 139:23-24. Search your heart. Be honest with yourself. Ask God to help you see what the source of your anger is. Ask yourself tough questions? Talk to God about it. Ask him about it. Listen quietly for God to speak to you. Seek the help of a Christian Counselor. Check out more about Dealing with Anger In Marriage and other hot topics on our Facebook page!